Unless you spend every waking moment on social media, it’s tough to keep up with all the new terminology and trends in the space. That’s why we’ve created a comprehensive list of social media definitions. 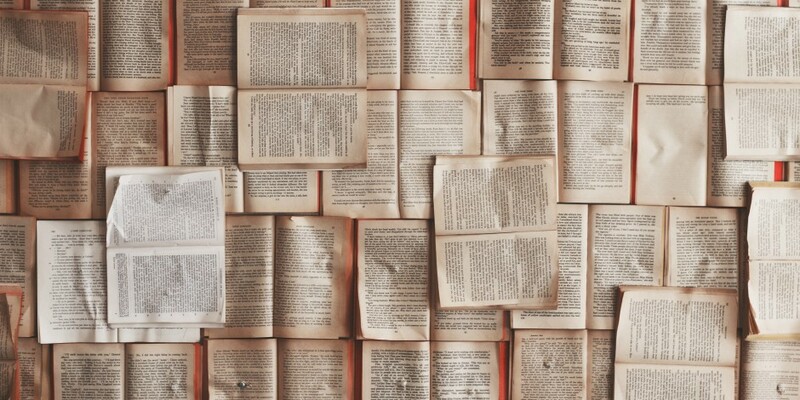 This glossary will help you stay on top of the latest concepts in social marketing (and understand what the kids are talking about today). Bookmark this page! It’s a living document that will evolve as we add and subtract entries, expand our definitions, and provide more context for the most important terms. A ubiquitous symbol thanks to its prevalence in email addresses, the “at” symbol is one of the most important characters in how we communicate today. If you don’t see why, well, don’t @ me. That’s an octothorpe. Also known as a pound sign, if you’ve ever used a phone. Also known as a hashtag. Also, it kind of looks like a tic-tac-toe board. The percentage of social customer service issues that customers abandon before they are resolved. A rules-based procedure for making calculations or solving problems—they’re everywhere in computer science! In social media, constantly shifting algorithms control which content its users see (and don’t), as well as what topics and hashtags are trending. To the chagrin of social marketers everywhere, algorithms have tightened up in recent years to favor organic content created by humans. Apparently the world needs more video recipes for hEaLtHy BlAcK bEaN bRoWnIeS. This has contributed to the need for brands to “pay to play” with social media advertising and boosted content to be visible online. Data, and the patterns found in that data, often used to make marketing or advertising decisions. A website or application gathers data for its analytics using a cookie or other tracking tag that monitors users’ behavior. The tag activates when users begin their visits then stores data about what pages they visited, what actions they completed, and how they interacted with different elements such as clicking on buttons or performing a search. In layman’s (read: non-technical) terms, a “middle man” that allows two applications or platforms to “talk” to each other. As an example, Hootsuite uses Twitter’s API to publish tweets to a timeline through the platform. Archiving has become increasingly important as more and more business is conducted via social media. Organizations can save records of social conversations in their own secure databases, the same way they store email and other documents. This data can later be retrieved and analyzed to track the effectiveness of social media activities. It can also be referenced during legal discovery, if necessary. A tool that allows you to choose which audience you want to share something with on Facebook, including Pages you own. To learn more about Facebook’s privacy settings for sharing content, see this Facebook Help article. The practice of using a tone and voice online that expresses who you really are. For brands, being open and authentic on social media means a great deal to those who want to engage with you. Conveying your brand’s values through your content and replies, and interacting with followers in a way that’s relatable and human, all contribute to your sense of authenticity. A user’s visual representation of themselves, usually a photo but not always. (Be wary of social media users whose accounts still feature the platform’s default avatar—troll and spam accounts often don’t bother to personalize.) In the age of digital activism, changing your avatar or adding a custom profile-photo frame or filter has become a popular way to show support for a variety of causes. The average time it takes a company, team, or individual to resolve customer issues on social media, from beginning to end. The amount of time it takes, on average, for a company, team, or individual to reply to a customer’s messages while resolving an issue. Large sets of unstructured data that can be powerful if leveraged properly. Much of the data social marketers encounter has already been parsed into a digestible format (such as customer-data spreadsheets or your social analytics dashboard). So-called big data is complex and requires sorting, analyzing, and processing—but with the right analysis, the potential for insight is endless. The small portion of any digital profile that tells new or prospective followers who you are. All social platforms offer space to write a bio. It’s the first thing users see when they discover your profile, and a good one can greatly improve how often you show up in keyword searches. Customized avatars that can be added to Gmail, Messenger, Slack, and social media networks. Bitmoji lets you create an animated representation of yourself then offers a variety of versions of it in different situations that you can share with an app or smartphone keyboard extension. Blocking a troublesome or harassing user allows you some peace—if they mention you, those tweets won’t appear in your notification, and the user receives a message letting them know they’ve been blocked. However, Twitter cannot prevent anyone from seeing your public tweets. If you need someone out of your digital hair completely, use a protected account. The hijacking of a person or organization’s name or likeness to promote an agenda or damage the target’s reputation. Brandjackers don’t hack their targets’ social accounts—instead, they assume a target’s online identity with fake accounts, promoted hashtags, and satirical marketing campaigns. A brief description that appears beneath a photo on Facebook or Instagram (and a great opportunity for savvy #hashtag use). A Twitter reference to business news about a publicly traded company. Launched in 2012, cashtags can be tracked in the same way hashtags are. For example, typing $NFLX in the Twitter search bar will show news related to Netflix and its stock. A steering committee or dedicated team of social media leaders within an organization that establishes policies, processes, and support through best practices, education, and training. A center of excellence may also serve as an operational hub for the organization’s day-to-day social media activities. A type of bot that live in messaging apps (such as Facebook Messenger) and use artificial intelligence to perform tasks via simulated conversation. A chatbot can be used for customer service, data collection, and more. Facebook is one of the leaders in chatbot integration. A pronouncement that a user has physically visited a geographical location or event. Checking in allows the user to let their friends know where they are—and is especially useful when visiting somewhere warm in the dead of winter, when everyone else is shivering at work. A common metric for reporting on the number of people who viewed a piece of content then took an action, such as clicking on an ad or link. CTR is most commonly used for pay-per-click advertising and other performance-driven channels. The general philosophy is that the higher your CTR, the more effective your marketing is. The practice of developing relationships around a common interest, done by monitoring and engaging with those who engage with the common interest. The goal is to nurture relationships so that the community acts as advocates on behalf of the common interest. The act of comparing your organization’s performance to another company’s against a defined set of metrics. The practice of monitoring how users feel about other organizations in your space through social media monitoring. Whether positive or negative, this intel can provide important context that helps you to make strategic business decisions to stay ahead of the competition. Adherence to rules, regulations, or laws. Social media compliance is particularly relevant to organizations in regulated industries like healthcare and finance. These businesses face strict rules governing what they can (and must) be communicated to the public, and numerous regulatory agencies have confirmed that these rules extend to social media. Among other requirements, regulated organizations must be able to demonstrate that they are archiving social communications and supervising the use of social media by their employees. The process of scouring the Internet for the best, most relevant content for an audience and then presenting it to them in a meaningful way. Unlike content marketing, content curation doesn’t involve creating new content. Instead, it’s about creating value for your audience by saving them time and effort. There’s no shortage of content out there, but not all of it is worth reading. Organizing relevant content into pinboards, newsletters, or weekly roundups can help you build an audience and demonstrate your subject-matter expertise. A process used by marketers to uncover valuable content and trends relevant to their audience. Content discovery helps shape a successful content marketing strategy and can be executed in numerous ways. An online application that allows you to draft, edit, share, schedule, and index your content. Popular web content management systems have polished interfaces that allow you to publish content without knowing code. Hootsuite is a CMS. The practice of attracting and retaining customers through the creation and distribution of valuable content, such as videos, white papers, guides, and infographics. Marketers hope to earn customer loyalty and influence decisions by publishing useful, entertaining, or educational content. Take the Michelin Guide, first published by the tire company Michelin in 1900. Rather than simply advertising their tires, Michelin provided maps, car-repair advice, lists of hotels, and other valuable information that would encourage more driving. Over time, the Michelin Guide evolved into the world’s most influential guide to restaurants—and has driven massive brand awareness and loyalty for Michelin. With the rise of social media and search engines, content marketing is now a vital technique for businesses of all sizes. A positive action taken on a website. The action demonstrates that the visitor is “raising their hand” and becoming a lead or customer. Sales are just one type of conversion; other examples include webinar registrations, newsletter signups, gated-content downloads. Once a conversion takes place—usually involving the capture of a name and email address—a lead can be nurtured into a customer. In social marketing, conversion tracking is crucial to properly attributing revenue to social-media efforts. The large, horizontal image at the top of your Facebook profile or business page. As with profile photos, cover photos are public. This prime real estate is a great place to display a unique representation of who they are, what their business is, or what they care about. A license that allows the public use of otherwise copyrighted material. For social marketers, Creative Commons licenses are helpful when sourcing images to illustrate content. Unless you are using your own images or have purchased the rights to an image, you can use only Creative Commons images (search.creativecommons.org aggregates a number of search options). There are different levels of Creative Commons licenses that restrict whether an image can be used commercially, modified, or remixed, and whether attribution is required. The social media governance measures a company has in place to manage social media risk and react in the event of a crisis. The definition of crisis can be wide ranging, from security hacks to Freudian Twitter slips (hello, accidentally posting a personal tweet to the company account) and even external events that result in an influx in social mentions. A crisis-management strategy is vital to organizations of any size that want to manage their social media risk and respond effectively. Leveraging your online community to assist in services, content and ideas. Business applications for crowdsourcing include getting your audience to help translate your product, or asking industry experts to contribute tips and tracks for an upcoming blog post. Any social media content that is shared outside of what can be attributed to a known source. For example, if you pasted this blog post’s URL and shared it with your entire iPhone contact list, the resulting visits would be categorized as dark social. In a social relationship platform, a single screen where marketers can view their feeds, see and interact with ongoing conversations, monitor social trends, access analytics, and more. The percentage of customer-service issues that are transferred from social media to another communications channel, such as email, telephone, or live chat. A private Twitter message. Direct messages can be sent only to Twitter users who are already following you—and you can receive direct messages only from users you follow unless you have opted into receiving direct messages from anyone in your user settings. Content that vanishes after a set amount of time (such as Snaps and Instagram Stories). Learn more: Snapchat, Instagram Stories, or Facebook Stories—Which is Right For You? Typically, small visual advertisements that are shown on websites. Common formats include images, Flash, video, and audio. They can also be text-based (for example, Google AdWords lets you build text-based display ads). In general, display ads are used for large audience-based media buys or retargeting. The gathering and exchange of relevant electronic records (such as social media communications) during a legal case or government investigation. Many organizations are required to securely and consistently archive all digital communications so that they can be produced in e-discovery. Digital media that is displayed outside of its native setting, such as within another piece of content (e.g., a GIF embedded into a Facebook comment, or a YouTube video shared in a tweet). Tiny images used to convey a wide spectrum of emotions across a variety of digital channels, from text messages to social media. Emoji evolved from their more primitive predecessors, emoticons, which were made using characters already on the standard keyboard. They first appeared in the Japanese digital lexicon in the late 1990s. In 2010, the Unicode Consortium (an international arbiter of standards for encoded characters) approved Google’s proposal to recognize and standardize emoji internationally. Many major brands have (at an eye-popping cost) created branded emoji to accompany hashtags for big marketing campaigns. Twitter published the results of a research study on branded emoji back in 2016. An employee who is willing to promote and defend a company both online and off. Like their consumer brand advocate counterparts, passionate employees can influence the purchasing decisions of their friends, family, and other social contacts. The re-sharing of a company’s social content by its employees as part of an empowerment model. Organized and coordinated amplification programs leverage employee advocates at scale to greatly increase the social reach of a brand. An organizational approach to social media that emphasizes participation and initiative from all departments, teams, and employees. Talking to, messaging, or otherwise interacting with other people on social networks. Engagement broadly encompasses many types of actions, from commenting on Instagram posts to producing a Facebook Live show with an open Q&A. Engagement is central to any social media strategy. The percentage of users who saw your social media post and took some action (clicked the link, replied, shared, retweeted, etc.). Engagement rate is a valuable metric to gauge the success of your social media messaging. Twitter Analytics provides in-depth engagement rate data for every tweet you send. Launched in 2004, a social media platform that evolved from Facemash, Mark Zuckerberg’s website that allows Harvard students to rate the attractiveness of their peers. Facebook was originally limited to university students but went global in the years to come, taking over the world with pokes, likes, posts, and comments. The site and its founder have been in the news from its earliest days, attracting more their their share of controversies ranging from censorship to privacy concerns and data breaches. Today, brands can use Facebook to connect with audiences worldwide through content and social advertising. A user who likes your Facebook Page. A space on Facebook where you can communicate and share content with a select group of people. There are three types of groups: public, closed, and secret. Make sure you understand the privacy settings of any group that you’re a member of (here’s a useful table for reference)—and remember that even in a closed or secret group, your information can still be copied, pasted, and shared. You can join a maximum of 6,000 Facebook groups, and if you ever bump up against that threshold, we’re dying to hear your story. A Facebook feature that allows you to stream live video to your family, friends, and followers. You can get live reaction during your broadcast and interact with viewers in real-time. A Facebook Ads feature that allows brands to share special deals and discounts with their social media audiences. Businesses can create online or offline (in-store) offers, and can share these in an Offers ad or a post on their Page. The number of unique users who have seen content from your Facebook Page. Reach is not the same as impressions, which is the total number of times your content is viewed (including multiple views from the same user). Total reach: the number of unique users who saw any content associated with your Page during the last seven days, including those who view your Page posts, visit your Page after searching for it, and see ads associated with your Page. Post reach: the number of unique users who have seen a particular Facebook Page post in their News Feed. Organic reach: the number of unique users who saw your content without your having to pay for it. The vast majority of organic reach occurs when Facebook’s algorithm places your posts in your fans and followers’ News Feeds. Paid reach: the number of unique users who saw your content because you purchased visibility for it, either by boosting it or buying an ad. A Facebook feature that helps citizens connect and interact with their government representatives at the state, local, and federal level. Users can look up their representatives by inputting their home address, then use the Town Hall page to follow all their elected officials, get reminders to vote, and display a constituent badge on their comments when they post to a politician’s page. A video platform that features made-for-social TV shows and longer content on the social network everyone loves to hate. An indication that someone likes your tweet, given by clicking the heart icon. The social media data format that provides users with a steady stream of updates and information. A photographic effect that can be applied to images before publishing them, from simple black-and-white or sepia to those ubiquitous flower crowns and puppy ears. Available on Instagram, Snapchat, Facebook Messenger, and many other apps with camera integrations, the popularity of filters has resulted in the hashtag #nofilter, a proud declaration that your latest photo is unedited. The time it takes a company to give its first response to a customer’s comment or inquiry on social media. This can be a key performance indicator for social customer service, because even if the issue is not resolved immediately, a quick first response can demonstrate that a company is listening and willing to help. A Twitter user who has subscribed to your Twitter feed, in order to see your tweets in their feed. The ratio of your social media followers to those you are following. In an ideal world, you have more followers than users you are following. Short for “fear of missing out,” a phenomenon in the digital age that describes the feeling of sadness or loss at the thought of not being in the room to experience something amazing, especially when it will be described later by other social media users. An online site, also known as a message board, where people can hold discussions. A location-based discovery service that helps users find local places and experiences that are relevant to their interests and tastes. Foursquare pioneered the “check-in” and put the idea of real-time location [over]sharing on the map, so to speak, back in 2009. The company has since launched a separate app called Swarm that is exclusively dedicated to check-ins and keeping up with your friends’ comings and goings. A person that you connect with on Facebook or another social network. Unlike a fan or follower, a friend is a two-way connection—both you and your friend have to endorse the relationship. On Snapchat, a way to reflect a user’s relationship with another user. For example, the cool-guy emoji wearing sunglasses means that two Snapchatters share a best friend on the app. A page that tells the story of a relationship between two people connected on Facebook. Facebook Friendship pages display a variety of content, including photos that both people are tagged in together, public messages that they have exchanged, and their their mutual friends and interests. Special overlays for Snapchat users that reflect the geographic location they are in. Geofilters have also been created by branded partners as well as Snapchat users themselves. Adding a specific location to a photo, video, or social media message. The ubiquity of GPS-enabled smartphones has made geotagging a core aspect of social media. Location-specific Snapchat Stickers. Users must have location services enabled to take advantage of this feature. A feature on many social media platforms that allows users to share their content with geographically defined audiences. Instead of sending a generic message for the whole world to see, you can refine the messaging and language of your content to better connect with people in specific cities, countries, and regions. You can also filter your audience by language. Pronounced “giff,” with a hard G, no matter what the actual creator of the GIF says. An acronym for Graphics Interchange Format, which refers to a file format that supports both static and animated images. GIFs rose to popularity as a way to react on social media without words. Facebook and Twitter both now support GIFs. Giphy.com and tenor.com are a great place to start compiling your extensive archive of GIFs, sorted into folders by emotion, obviously. Your online identity, sometimes the same as your username (Hootsuite’s Twitter handle is @Hootsuite, for example). A consistent handle across all your social media accounts helps with discoverability, as those who follow you on Twitter might want to find you on Instagram or Pinterest as well. A word or phrase preceded by the “#” sign. Hashtags are a simple way to mark the topic (or topics) of social media messages and make them discoverable to people with shared interests. On most social networks, clicking a hashtag will reveal recently published messages with that hashtag. Hashtags first emerged on Twitter as a user-created phenomenon and are now used on almost every other social media platform. The banner image at the top of a user’s Twitter profile. Often, the first page you see when you sign into your social media account. It contains a constantly updating timeline or feed of the user activity and news stories in your network. The number of times an ad, sponsored update, or promoted post is displayed. Learn more: Reach vs. Impressions: What’s the Difference (And What Should You Track)? Inbound marketing is a data-backed approach to attracting customers to web properties with relevant and helpful content. This content is discovered through channels like search engines and social media. The total number of incoming messages addressed to an organization or specific social media account within a given time span. A social media user with a significant audience who can drive awareness about a trend, topic, company, or product. From a marketer’s perspective, the ideal influencer is also a passionate brand advocate. Successful influencer strategies usually involve the coordination of an organization’s marketing, customer service, and public relations teams. A strategy where a business collaborates with an influential person on social media to promote a product, service, or campaign. Think of it as micro-celebrity endorsements, designed for the digital age. A free online photo-sharing app that allows for the addition of several filters, editing, and sharing options. The joy of missing out, also known as the overwhelming inclination to binge Netflix shows, read a book, take a warm bath, or generally retreat from the craziness of the world. The word may stem from the global embrace of the Danish and Norwegian word “hygge”—a coziness and comfortable conviviality with feelings of wellness and contentment, according to Wikipedia—or an adverse reaction to its opposite, FOMO. A mobile messaging app. Users connect with others using a username (rather than a cell phone number) to send text, video, images, sketches, and more. Kik also boasts an in-app web browser, so users can check out links and other social media accounts all without leaving the app, making it especially appealing for users as well as the companies trying to reach them. A metric that defines whether a marketing campaign or other initiative has succeeded or failed. KPIs for a social media marketing campaign might include brand mentions, replies and retweets, or click-throughs to your website from individual posts. Popularized digitally by Facebook—though derived from the dictionary definition—an understood expression of support for content. Along with shares, comments, and favorites, likes can be tracked as proof of engagement. Facebook’s algorithm adjusts individual content feeds based on like patterns, making for interesting results when consciously meddled with. Find out what happened when a Wired.com writer experimented with liking everything they saw on Facebook. The annoying practice of explicitly requesting likes (or shares and comments) to increase engagement on Facebook. (By the way, mathematically, one like equals one prayer.) Facebook has adjusted its algorithm to reduce the visibility of like-baiting posts in users’ news feeds. Learn more: The End of ‘Like-Baiting’ on Facebook? A connection’s recognition of another person’s skill, such as Content Marketing, Web Programming, or Cake Baking. Endorsements, a form of social proof, boost your credibility through third-party confirmation that you actually have the skills you say you have. Users can endorse the skills of only their first-degree LinkedIn connections. A written compliment from a connection that you can display on your LinkedIn profile to impress hiring managers, potential clients, and the 428 conference attendees you carpet bombed with your business card. There’s no limit to how many recommendations you can give or request, but remember that the most authentic recommendations come from people that you’ve actually worked with. If you receive a lackluster recommendation that you would rather not display, you can easily hide it from your profile. You can also edit, remove, or hide recommendations of your own LinkedIn connections any time. Curated streams of user-submitted Snaps from various locations and events. Users who have their location services on at the same event location will be given the option to contribute Snaps to the Live Story. The end result is a Story told from a community perspective. To post comments and participate in Twitter conversations while an event or situation is happening. Users might livetweet anything from a conference keynote to the latest protest they’re attending — or even something as banal as watching a relationship blossom between two airline passengers in the row in front of them (the #PlaneBae saga was a sublime livetweet adventure that, like many social media phenomena, quickly went south). In digital advertising, a group of users who are similar to people who already interact with your business online—meaning they are more likely to be receptive to content related to your products and services. The digital equivalent of the “longtime listener, first-time caller,” someone who watches a social media feed in silence for a period of time before actually engaging with the content with a like or reply. An algorithm that allows software to become more accurate in predicting outcomes without being explicitly programmed to do so. A common example of machine learning is Facebook’s ability to recognize faces in photos. Amazon’s uncanny product-recommendations engine and your email provider’s spam filters are other great examples of machine learning. A combination of tactics and technology platforms that enable automatic delivery of personalized content to prospects and customers through a variety of online channels. The idea behind marketing automation is giving website visitors and leads the information they need when they need it—and doing so at scale, where is where the automation comes in. Marketing automation isn’t about blindly scheduling content. Ideally, marketers will segment and score their marketing contacts, then nurture those potential customers with carefully tailored and timed messaging to move them toward an eventual purchase. Solid social media marketing can attract new inbound leads, providing fuel for the marketing automation engine. Marketers can also make that engine more efficient by using social media data to learn more about their leads over time. An idea, fashion, or behavior that is transmitted from person to person through media, speech, gestures, and other forms of communication. The term was conceived by evolutionary biologist Richard Dawkins in the 1970s, but it has taken on greater relevance in the digital age. If you’ve spent more than five seconds on the internet, you’ve probably encountered a meme. From reaction GIFs of an unimpressed Chloe in her car seat to videos of home runs set to Celine Dion’s epic “My Heart Will Go On,” memes tug at something in us that compel us to share, upvote, or remix them. In Dawkins’ theory, memes are ideas (or fragments of ideas) that are copied and combined as they move from person to person, much like genes are passed from generation to generation. Dawkins surmised that we could use the concept of evolution by natural selection to understand how ideas spread and change over time. Some memes spread far and wide, some die out, and others mutate—and with trending topics and social analytics, we can now watch their life cycles in real time. The act of tagging another user’s handle or account name in a social media message. Mentions typically trigger a notification for that user and are a key part of what makes social media “social.” A properly formatted mention also allows your audience to click through to the bio or profile of the user in question. An app that allows Facebook users to send one another instant messages through a smartphone. Facebook’s Messenger app is now a necessity to access messages from mobile; users can no longer see their messages through a web browser. Publishing smaller, more frequent quantities of content to platforms such as Twitter or Tumblr. An analytics tactic aimed at better understanding how customers discover, evaluate, and purchase your products or services. When people buy products, they rarely complete a purchase in one step. For example, they might hear about a brand in a tweet, later see a banner ad for the product, then perform a Google search, and then, many days later, finally visit the website to purchase. Multichannel attribution attempts to give relative value to each of these channels, treating each channel as a contributor to a customer’s eventual purpose. The goal: better understand the process by which your customers—and develop a holistic understanding of how each marketing channel impacts that process. A Twitter feature that allows you to edit users out of your feed without them knowing. They still see that you follow them, and they can still favorite, retweet, and reply to you, but you don’t see any of their activity in your timeline. Muting a user is not the same as blocking them. A Snapchat feature that lets you save Snaps from Memories to a private, passcode-protected area. For more information on using My Eyes Only, check out Snapchat’s guide. A customer loyalty metric that based on a single simple question: “On a scale of 0 to 10, how likely is it that you would recommend our company, product, or service to a friend or colleague?” People who respond with a 9 or 10 are designated as “promoters,” 7 or 8 as “passives,” and 6 or lower as “detractors”. The percentage of customers that are detractors is then subtracted from the percentage that are promoters to arrive at the company’s NPS (passives are ignored, because that’s their lot in life). Scores range from +100 to -100. Newsjacking or trendjacking should be done only if there is are close ties between your product or service and the story in question. Simply attaching a news hashtag to content that is completely unrelated is not a best practice, and will likely draw the ire of your followers. A message or update sharing new social media activity. For example, if somebody Likes one of your Instagram photos you can receive a notification on your phone that lets you know. An approach to marketing that creates an integrated experience for audiences no matter what device they’re using or which platform they use to interact with a brand. The number of unique users who view your content without paid promotion. People find social content organically through their own news feeds—either from companies whose pages they’ve liked themselves, or shared by friends or connections. A URL shortener that condenses your links into a shorter, more social-friendly format. ow.ly is Hootsuite’s proprietary URL shortener that’s built right into the platform. It allows you to track real-time clicks and export detailed summaries of your shortened links’ performance. And it’s not just for use within Hootsuite—you can use your shortened links in emails and on webpages, too, if you want to track their performance beyond social. The number of users who have viewed your published paid content, from ads to sponsored and promoted content. Paid reach generally extends to a much larger network than organic reach—messages can potentially be read by people outside of a concrete contact list. Also known as cost per click (CPC), a type of advertising where an organization pays each time a user clicks on an advertisement. The costs incurred during a PPC campaign vary based on the competitiveness of the keyword phrase an organization is targeting with its ads. A livestreaming service acquired by Twitter in 2015. The platform allows users to broadcast video directly from a smartphone (plus a few other devices), and viewers can interact with the live video through comments and hearts. Its one-time popularity appears to be dwindling, but dedicated users are hoping to save it from going the way of Vine. The URL of an individual piece of content. Permalinks allow you to directly reference a specific piece of content instead of searching for it in the feed or timeline where you found it. You can quickly find an item’s permalink by clicking on its timestamp. An attempt to fraudulently acquire sensitive information such as usernames, passwords, or credit card information by authentic-looking electronic communication, usually email. Also a method of spreading electronic viruses by exploiting security weaknesses. A tweet that has been pinned to the top a Twitter profile page. Pinning a tweet is a great way to feature an important announcement—or that time you got retweeted so many times that you had to write a follow-up to promote your SoundCloud. If your tweets are public, anyone who views your profile page will see the tweet. Favorite links stored on Pinterest. Every Pin is made up of a picture and a description given by the user; when clicked, a Pin direct users to the source URL of the image. Other users can like or Repin your Pins. Users can also organize Pins by theme or event into visual collections. A collection of Pins on Pinterest. A Pinboard can be organized by any theme and can either be private or public. Some examples of Pinboards: Short Hairstyles, Dream Tattoos, Bridesmaid Hell, Whole30 Keto Instant Pot Desserts, Cats I Want to Pet. A visual organizer for saving and sharing links to sites and other media you like—also known as Pins. Pins are represented by an image and description of your choosing and organized into collections called Pinboards. Pinterest users can share their Pins with others, or Repin pictures they liked from other users. Think of Pinterest as a virtual scrapbook, or a bookmarks page with pictures. Common uses include event planning, recipe collection, and fashion blogging — but savvy businesses across a spectrum of industries are learning to leverage this platform to grow their audience. Learn from these brands how to do it well. A social media status update, or an item on a blog or forum. A setting on a social media account (such as Instagram or Twitter) that protects content from the public. Users must request to follow private accounts to see the content. A Twitter Ads feature that automatically promote your first 10 tweets every day to a specified audience—for a flat fee of $99 per month. Twitter estimates that accounts using Promote Mode will reach an average of 30,000 additional people. A Twitter Ads feature, announced in 2010, that invites targeted users to follow a certain account. This function is used to quickly grow a Twitter handle’s following. Promoted accounts appear in users’ timelines, Who to Follow suggestions, and search results. Promoted tweets are native advertisements targeted to a specific audience available through Twitter Ads. They look almost identical to organic tweets in users’ timelines but include a small “Promoted” marker. Promoted tweets are used by advertisers to reach an expanded audience. A business procedure for ensuring that outbound social media messages are error-free, on-time, and on-brand. Many organizations now protect their social media accounts by managing them through a social relationship platform (SRP), which provide a safe environment for teams to collaborate on content before publishing. Lower-level employees, interns, or contractors might draft messages, but their content must be approved by managers, supervisors, and/or compliance officers before publishing. An 829-million-user instant messaging platform developed by Chinese company, Tencent Holdings Limited. QQ users can use the platform to play social games, discover music, shop, microblog, watch movies, and group and voice chat. A Q&A website where anyone can ask their own question or answer another user’s question. For businesses, Quora can be a fantastic way to establish thought leadership or authority on a certain topic, or interact with users likely to be interested in their products or services. Reach is a data metric that determines the maximum potential audience for any given message. It is not a guarantee that the entire audience will see your social media post. Reach is determined by a fairly complex calculation that includes number of followers, shares and impressions, as well as net follower increase over time. The practice of connecting with an online community around current events, trends, and customer feedback—often to a fault. If hopping on a hashtag bandwagon or personalizing a meme to your business (ahem, dentist offices still doing the Harlem Shake) isn’t on brand, it could fall flat with followers. A popular social networking site where users upvote (positive) or downvote (negative) user-submitted content, from videos and image-based memes to text posts. The most upvoted and commented-on posts appear higher up on the website’s main page, as well as on its many topic-focused sections called subreddits. The act of reposting another Instagram user’s image or video. An online advertising technique that aims to re-engage website visitors who left a site without converting. (If you’ve ever been followed around on the Internet by that pair of shoes you were drooling over during lunch, you’ve been retargeted.) Retargeting starts with a small tracking tag embedded in your website’s code. Once visitors come to your website, you can then target them as they visit other websites, including search engines, social-media sites, news outlets, and blogs. The rationale is that these visitors are your best chance to make a sale so instead of advertising to strangers, you spend your budget on prospects who have already visited your website. To share another user’s Pin on your own Pinterest Pinboard. To Repin, simply hover over the Pin you love then select “Repin.” You can either add the Pin to an existing collection or start a new one. Like the Pin but don’t want to to a Repin on it? Like it instead. A response to someone’s tweet. Unlike direct messages, replies are public. A engagement metric to assess how much you are interacting with your social audience. To calculate your response rate, take the number of mentions that you have replied to in a given time period and divide it by the total number of mentions you have received (excluding retweets). The total number of outbound messages that an organization, team, or specific social media account delivers in response to customer service issues within a given time period. A measurement of the value gained by a person or business from developing a relationship. Measuring ROR isn’t easy—it involves not only analyzing connection growth, but also understanding the impact your customers’ voices have on your brand and reputation. This includes sentiment analysis, as well as engagement metrics for your content, like organic sharing rates. A tweet that is reshared to the followers of another user’s Twitter account. When you click the retweet button on the Twitter website or app, you can opt to republish the tweet as is, or add a comment to explain why you’re sharing it or offer your own hot take on the topic. A Pinterest post that contains additional content. Rich Pins can be from one of six categories: app, article, recipe, or product. For example, product Rich Pins include real-time information about where to buy the product, pricing, and availability. A format for syndicating web content (short for Rich Site Summary or Really Simple Syndication, depending on who you ask; neither is an official acronym). RSS feeds are created in a standard XML format that makes them compatible with a variety of readers and aggregators. Content creators use RSS feeds to broadcast content (or content summaries) to audiences. Readers can subscribe to RSS feeds without providing personal information, and then automatically receive updates through a news reader or aggregator. RIP Google Reader. The degree to which an organization can effectively use social media across multiple departments and geographies. “Scaling up social media” is an effort to coordinate social listening, engagement, and analytics among multiple groups while eliminating redundancy, confusion, and waste. Planning social media updates and content ahead of time, using a social relationship platform (SRP) or another publishing tool. Scheduling saves social professionals time in their daily workflows by allowing them to draft several messages at once, often as part of a publishing approval process. It also enables them to reach audiences in different time zones and organize extended marketing campaigns. A photo that captures activity on a computer screen or smartphone display. For Snapchat users, given the ephemeral nature of its content, the ability to take a screenshot by either party has proven controversial. Snapchat notifies users when someone takes a screenshot of their content, but there is currently no way to prevent it from happening altogether. A self-portrait photograph, usually taken with a smartphone and shared on social media sites. An attempt to understand how an audience feels about a brand, company, or product based on social data. Sentiment analysis typically involves natural language processing or another computational method to identify the attitude contained in a social media message. Different analytics platforms—such as Hootsuite Insights—classify sentiment in a variety of ways; for example, some use “polar” classification (positive or negative sentiment), while others sort messages by emotion or tone (Contentment/Gratitude, Fear/Uneasiness, etc.). The practice of increasing the “organic” visibility of a web page in a search engine, such as Google. Although businesses can pay to promote their websites on search engine results pages (Search Engine Marketing, or SEM), SEO refers to “free” tactics that enhance the search ranking of a page. A measure of how many social media mentions a particular brand is receiving in relation to its competition. Usually measured as a percentage of total mentions within an industry or among a defined group of competitors. A popular social platform for sharing presentations and other business-oriented content. SlideShare makes it easy to embed content on websites and share it to other social networks, such as Facebook, Twitter, and LinkedIn (which has owned the platform since 2012). A photo- and video-messaging app launched in 2011. Users can add filters, text, drawings, or emoji to their content before sending it to their recipients. Snapchat was once unique for its content’s ephemeral nature: Individual messages last only up to 10 seconds before they disappear forever and are erased from the company’s servers. In 2013, Snapchat added the Story feature, which allows users to share replayable Snaps for up to 24 hours in the “Our Story” section. A Snapchat feature, limited to top-tier brands and news outlets, with a curated collection of videos by the participating partners. Introduced in 2015, a feature that allow users to add animated masks to their selfies. To use Lenses, users must have the camera in selfie mode—and really should be under the age of 25. A feature that allows users to save Snaps and Stories for later viewing and sharing. Once enabled, Memories will save your content to Snapchat’s servers so it’s accessible anywhere you’re logged in — and you can share those saved Snaps to your Stories for all eternity..
A gamification feature introduced in 2015 that rewards users with badges for completing in-app challenges and activities. These emoji trophies can be found in the Trophy Case (where else would they be?). A unique, scannable QR code provided to each Snapchat user. Users can point their phone’s camera at a friend’s Snapcode, whether on a phone or a vector version of the code, to automatically add the other person as a Snapchat contact. What happens when two Snapchat users send Snaps to each other for a consecutive number of days. This will be reflected next to the users’ names with a flame emoji and a number representing how many days the Snapstreak has lasted. An area of digital commerce where the buying process is assisted by social media and online networks. Learn more: What is Social Commerce and Why Should Your Brand Care? The process of finding and assessing what is being said about a company, topic, brand, or person on social media channels. Technology and business processes for securely managing social media accounts, engaging audiences, and measuring the business results of social media activities. Effective social media management is critical to conducting business on social media. When implemented at scale across departments and regions, coordinated social media management practices allow everyone within the organization to collaborate and achieve measurable outcomes on social media. The use of social media by marketers to increase brand awareness, identify key audiences, generate leads, and build meaningful relationships with customers. Social media marketing should be well coordinated with social customer service, community management, and social selling activities to create seamless relationships with customers. Of course, social media is just one channel in the overall marketing mix; the most effective social media marketing programs are also integrated into multi-channel strategies. ROI stands for “return on investment.” Social media ROI is the sum of all social media actions that create value. Secure, scalable technologies that allow businesses to manage social media communications of any kind across departments and devices. Think of a social relationship platform as a digital command and control: These tools put everything you need for social media into one place, making it easier to manage. Social relationship platforms are used for monitoring, posting and tracking social media, and help manage everything from customer service to lead generation. Hootsuite is a social relationship platform. The use of social media by sales professionals to increase productivity and generate revenue. Sellers can effectively leverage social media to enhance their reputations, expand their interpersonal networks, and attract new prospects. They can also identify buyers by listening and engaging in the online spaces where potentials customers are conducting research and asking for advice. A word that combines three consumer trends: social (So); location-based (Lo); and mobile (Mo). SoLoMo is a catchy term that can help marketers keep these important concepts top of mind in their communication efforts. Unnecessary and repetitive content that clogs up inboxes and clutters social media feeds. In other words, the bane of your existence. The term “spam” has been used to refer to junk messages since the earliest days of the Internet (take a quick stroll down memory lane with this MentalFloss article on spam). Content on a social-media site that has been paid for by a brand or organization. Every social media platform has its own form of sponsored content; brands can leverage sponsored content to get visibility with a larger audience that might be interested in their messages, products, or services. A form of ephemeral content on Facebook, Instagram, or Snapchat that disappears after 24 hours. A forum dedicated to a specific topic or theme on the social website reddit. Subreddits are defined by an /r/ in the URL. There are large mainstream subreddits like /r/politics or /r/videos, as well as quirkier subreddits like /r/colorizedhistory, which features old photographs edited to include color, or /r/aww, featuring nonstop cuteness. The reddit homepage aggregates the most popular content from the site’s tens of thousands of subreddits. You can also customize your own reddit homepage by subscribing to your favorite subreddits. The stealthy art of disparaging someone in a tweet without actually mentioning their handle. You’re so vain. I’ll bet you think this tweet is about you. A keyword added to a social media post with the original purpose of categorizing related content. You can also tag someone in a post or photo, which creates a link to their social media profile and associates them with the content. Many services also offer the option to remove unwanted tags from your profile. A string of messages that make up a conversation. Threads begin with an initial message and then continue as a series of replies or comments. Threads are essential to most forms of online communication, including social media and email. Without them, it’s hilariously difficult to keep track of ongoing conversations (see also: pre-2013 Facebook, or email prior to Gmail). The date and time that a message is posted to a social network, usually visible near the post’s title or corresponding username. Clicking on a timestamp will usually bring you to the content’s permalink. The most popular and engaging tweets for a given search query, as determined by a Twitter algorithm. Searches on Twitter’s website return top tweets by default, or you can toggle to “All” results to see the full list of matching tweets. A topic or hashtag that is popular on social media at a given moment. Trends are highlighted by social networks such as Twitter and Facebook to encourage discussion and engagement among their users. The “trending” concept was first popularized by Twitter and has since been adopted by Facebook and other networks. The trends that you see on Twitter and Facebook are personalized for you, based on your location, who you follow, and the content you like. The process of prioritizing, assigning, and responding to inbound social media messages. The term is borrowed from emergency medicine, where it is crucial to assess the relative urgency of every case to prioritize care. In a social media triage process, incoming messages are filtered, evaluated for urgency, assigned to the necessary parties, and, if necessary, escalated so that the organization can provide the appropriate response (either online, offline, or both). A social media user who makes a deliberately offensive or annoying postings with the sole aim of provoking other users. A Twitter message. Tweets are limited to 280 characters of text (including URLs) and could include embedded photos, videos, and some other forms of media. They are public by default and will show up in Twitter timelines and searches unless they are sent from protected accounts or as direct messages. Tweets can also be embedded in website pages. Need more than 280 characters to get your message across? Hit the + button below your post to add an additional threaded tweet, then publish them all together. A social network and media platform where users communicate with 280-character messages along with photos, videos, and other content. Twitter is known for real-time discussions on breaking news stories and trends. Oh, and Russian bots. A media-rich tweet that includes an embedded video, photo gallery, page summary, or other interactive element beyond the text of the message. Cards invite followers to engage with your content directly from their timelines. They are automatically attached to tweets whenever a user includes a link to a webpage with the card’s simple HTML code embedded. To enable Twitter cards, check out Twitter’s guide for developers. A personalized, curated collection of Twitter accounts. On public accounts, lists are visible to all users, and users can follow other users’ lists if desired. Users can see a feed of tweets from just one list’s accounts by clicking the name of the list. According to Twitter, “the best of what’s happening on Twitter in an instant.” By tapping on the lightning bolt symbol, you can see a list of events, news stories, and announcements that are updated throughout the day. Removing someone from a list of social media contacts. The act of splitting a thread of tweets into individual posts for easier digestion (or accessibility for screen readers and other tools designed to help users with various impairments). Services like the Thread Reader App make this as simple as mentioning @threadreaderapp with the word “unroll” as a reply to the thread you want unrolled. A signal of approval or agreement with a post or comment on the social website reddit. Posts with the most upvotes get top placement on the reddit homepage. Short for Uniform Resource Locator, the location of a website page or other resource on the Internet. A tool that condenses a URL into a shorter (and more social media friendly) format. Users who click on a short link are redirected to the original web address. URL shorteners, such as Bitly or ow.ly, can also provide link tracking capabilities, which allow businesses to measure click-throughs from social media and attribute website conversions to individual social messages. Media that has been created and published online by the users of a social or collaboration platform, typically for non-commercial purposes. User-generated content is one of the defining characteristics of social media. Many companies have enthusiastically embraced and encouraged user-generated content as a means of increasing brand awareness and customer loyalty. User-generated campaigns (such as Instagram contests) allow businesses to tap into the creative energies of their customers and use the contributions to fuel ongoing marketing tactics. Analytics numbers that can be measured but aren’t a signifier of real return on investment. Number of Twitter or Instagram followers, website pageviews, and email opens are examples of vanity metrics. These metrics can offer an inflated sense of a brand’s success and are best when contextualized by more concrete numbers such as click-through rate or visitor-to-lead conversions. A web address that is branded for marketing purposes. Vanity URLs are customized to replace common URL shortener formats with something more closely related to an organization’s branding: For example, instead of ow.ly or a bit.ly, Time Inc.’s vanity URL is ti.me. The New York Times uses nyti.ms. An account whose owner has proven their identity with the social media platform provider. This is usually reserved for brands, journalists, and other public figures as a way of preventing fraud and protecting the integrity of the person or organization behind the account. In reference to Snapchat, these are users who have looked at your Snap Story. To see who has viewed their story, users simply need to click the eye symbol next to their Story. Someone who creates and broadcasts video blogs. A portmanteau of the words “website” and “seminar,” a digital broadcast of a presentation intended to educate or inform. Webinars allow users to see or hear a presentation from their own computer or other device, and often interact directly with the presenter or fellow attendees through chat or video. Use Hootsuite to easily manage all your social media channels from one dashboard. Grow your brand, engage customers, keep up with competitors, and measure results. Try it free today. Paige Worthy (yes, that's her real name) is a Chicago-based writer and digital marketing consultant. She loves cooking, yoga, and smashing the patriarchy.